Believe it or not, I love my wine. As a wine-specialist tour operator I’m always out on the scene seeking out new producers, tasting new vintages, and filling up my recycling bin with an obscene amount of empty bottles. It wasn’t always this easy. 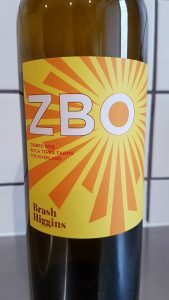 As a budding wine enthusiast, in my early days I always looked to The Adelaide Review’s Hot 100 Wines for inspiration on which labels to seek out and what type of trending wines I should be trying. To this day I still eagerly await the release of the annual list only to pore over the results, using it as a general guide, a reference for who to look out for or what to drink over the coming weeks. 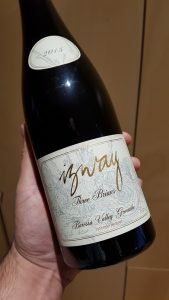 In honour of such influentially pivotal opinion, and provoked by one of my inspired and loyal guests who asked me to list my Top 50 South Australian wines (no small feat!) here is an insight into what I’m personally loving these days. Fourteen great South Australian wines from my personal stash. These are the no-brainer’s, sitting on the shelf ready to just grab and go. This is an orange wine, a skin contact white, biodynamic and organic. Grow grapes chemical free > squishy squishy > naturally ferment > bottle. That’s just semantics. This is wine full of texture and aromatics. Smells so good I’d just about wear it as a cologne, and I’m not the only one to have made that comment. Ginger, chamomile, dried apricots, lemongrass, mandarin peel, nutmeg. Drink straight off the shelf or from the fridge. Stands up to fish, pork, chicken, Thai or mild Indian curries, hard cheeses, et al. What more could you want! I’d probably pay $50 for this if I needed to. A polarising drop on our small group Barossa Valley wine tours. You’ve never tried anything like this before, trust me. Much like the Plenarius, it’s a natural orange wine however this one was fermented in clay amphora for six months and developed a natural flor . The result? Much less oily texture, a mild acid profile, this wine is all lift and aroma and super easy to drink. Tangerine and preserved lemon, jasmin flower, cinnamon, ginger and honey tea. Just yum. Drink lightly chilled with friends, with fresh Vietnamese or Thai salads, or lemony chicken dishes. You’d be lucky to try this one on a private wine tour of McLaren Vale. I’m loving Fiano. 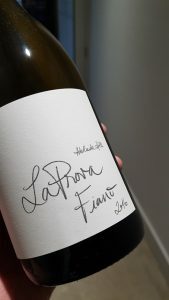 You’ll find a range of different Fiano on rotation around Small Batch HQ. Lightly textural with good minerality, flavours of lemon pith with a creamy pine-nut or almondness about it. It’s kind of like Chablis-light at a reduced price. Keep an eye out for it as there’s also a few coming out of McLaren Vale. Try with fresh or simply cooked seafood, pear fennel walnut and parmesan salad, bianco pasta dishes, replace your Savvy B with the stuff – you get the idea. This was one of my favourite slash most-drunk wines from last year, I even took a bunch of this to the US to show around. Massive hit. Organic, 40% whole bunch ferment long and slow for 51 days then aged on lees in old barrels for 10 months. Definitely does not taste what it sounds like. Translucent in colour it looks more like a dark purple rosé, drinks like yummy dark berries, lavender and violets, light lifted spice and a hint of blue cheesey-ness as it warms up. Drinks amazingly well at the sweet spot of between 12 – 14 degrees Celcius. Totally smashable – drink and enjoy. Consistently good drinking, this great value wine seems to take you on a journey from the start of the bottle to the end. Good for at least three days once open (if you somehow get there) and also good to age for ten years or more. Christian often has a few back-vintages laying about the cellar door. Grenache heavy with ripe cherries, toffee, and white pepper dominating, along with characteristic Rusden dried figs and rancio somehow flying into the mix. Yum. Good with dried fruits and hard cheeses, great with Chinese tea smoked duck. During the warmer months I’ve been through my fair share of their Pinot-esque Grenache and Grenache-Mataro but cooler weather calls for something more brooding. Enter Mataro. Mulberries, earthy spice, dark chocolate, with hints of rosemary and smoke. Enjoy with stir-fried black bean beef, boeuf bourguignon, or Old Gold Fruit & Nut chocolate. Did I mention this wine is amazing value? Sam Scott’s probably one of the Adelaide Hill’s best kept secrets. He’s an exciting producer because he’s making great wines from non-traditional varietals in unexpected places. His wines will help drive change in an already dynamic and relatively young, growing wine region. The power, depth, beauty, and balance that Sam has achieved with this wine is exceptional. It’s inky. Perfect winter wine, it’s going to be hard not to hold on to a few for the future – I just want to drink them now! 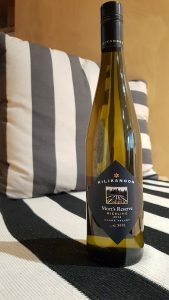 After tasting my way through Clare earlier in the year this wine spoke to me, I found much more depth and complexity in it than most Rieslings I had tried. 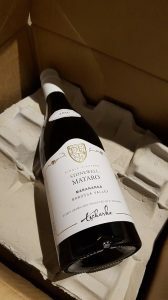 I actually thought to myself I’d love to taste this wine in 10 – 15 years when the acid mellows out and the flavours become more honeyed and stewed. So here we are. This is me learning. I have a lot of love for McLaren Vale Grenache. 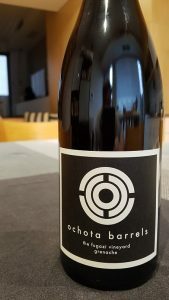 This Ochota Grenache is from a vineyard high on a ridge between the Onkaparinga and Blewitt Springs – the money spot. Rose petal, raspberry, pot-pourri, and almost juniper aromatics jump out the glass but it’s not all bouquet without backbone. The texture on this wine takes it to great lengths on the palate and will help it hold up in the bottle. It drinks like the $100 Pinot Noir from Dundee Hills in the Willamette Valley of Northern Oregon that I have stashed in the wine fridge. 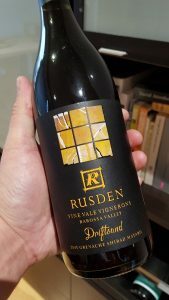 At a less than half the price I had to grab one of these for the cellar to pit against the Pinot in about 2022, although I’d also be quite happy enjoying it right now if I had to. Totally my jam. 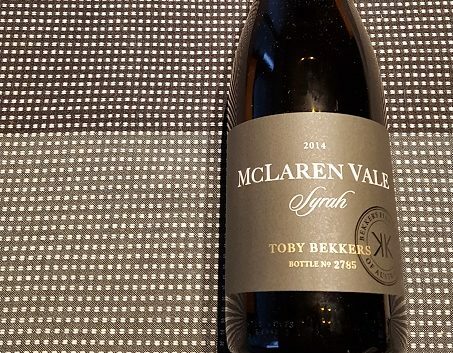 Sourced from two amazing vineyards in opposite corners of the Barossa and treated with the deft touch of the guy who made Penfold’s Grange for 18 years, this is serious Grenache. 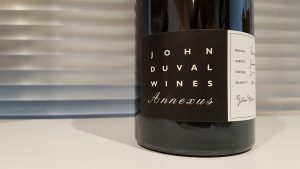 Considering John gets fruit from some super hard-working 150+ year old Grenache vines from high in the Eden Valley there’s extra complexity and depth, with a little more finesse than the Ochota Fugazi but essentially very similar flavour profile. This and the following wine were among my favourite wines from last year so I grabbed a few of each to put away for 6 – 10 years time. Much like the above wine, this is sourced from Grenache vines over 100 years old but grown on different soil types. While still elegantly feminine with strong character this wine displays more earth spice, playing out more like Michelle Obama to the Annexus’ Audrey Hepburn. Again, I could drink this all day long but want to watch it develop. This is Grenache at it’s best, and a favourite on our Barossa Valley wine tours. Yet another wine I took with me over to the US late last year, and definitely a premium producer to watch. Toby and Emmanuelle Bekkers concentrate on hero-ing McLaren Vale’s premier varietals – Shiraz and Grenache. This Syrah is from two premium vineyards in separate regions of McLaren Vale, resulting in a complex brooding wine oozing elegance. 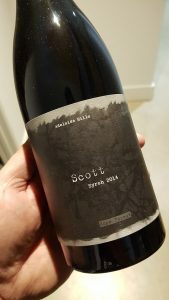 Perfumed blue and black berries dominate with your more typical McLaren Vale red berries poking through at times, spices clove and anise, with an almost smoky biltong savouriness and texture like heavily woven silk. Pure class. See you in 15 – 20 years buddy. One of the most sought after wines in Australia this is a staple in any good wine cellar and an absolute bargain. 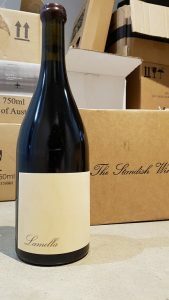 This wine is buy on release, only available from cellar door with a maximum of 3 bottles per person, and it still sells out within two months each year! A blend of Shiraz from over 30 of the Barossa’s best vineyards means complexity and consistency. This is quintessential heavy and rich Barossa Shiraz. Good drinking now or keep for up to 30 years if you want, but I’ll enjoy mine anywhere from 6 – 20 years of age. 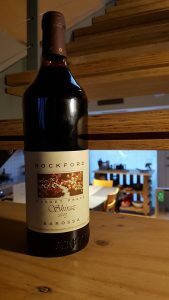 Rockford are a frequently visited destination on our small group wine tours of the Barossa Valley. Simply put, this is the best wine I’ve tasted so far this year. 1858 Ancient-vine Eden Valley fruit exudes lush purple and black berry fruits with cedar spice, faint pepper, and fine grained tannins as you may expect, but it’s the high note incense-like whisps of lavender, violet, and patchouli scented smoke that really excite me. Super silky smooth texture as a result of old-school meets new-school technique, and length of flavour for days. It dances out of the glass and all over your palate, developing in the glass over minutes, hours, and days. Bloody unreal booze. I plan to drink one each at around 3, 6, and 9 years of age, if I can control myself. I’ve developed this habit of drinking a decent bottle of wine over at least two nights to allow the wine time to open up. This means that more often than not I’ve got at least one bottle of wine on the go, so here are the two I’m getting a look in at tonight. Probably our most frequented cellar door, Langmeil is a Barossa-local favourite and a place that feels like home. Family owned with real Barossa hospitality, they make all the quintessential Barossan wines in a historic location which is the cultural heart of the region. The ‘Orphan Bank’ is a dearly loved vineyard of super old vines that in the 1990’s had been ear-marked by the owner to be destroyed to make way for a housing estate. Having worked with the fruit from this vineyard for many years, Langmeil understood the importance of these ancient vines and found a way to save them from destruction. They ‘orphaned off’ the vines one-by-one to locals who sponsored Langmeil to relocate the precious vines to a new location on the banks of the Para River at the Langmeil winery. Great story, great wine. Best drinking in 5 – 8 years. It’s important to benchmark Australian wines against those from around the world. 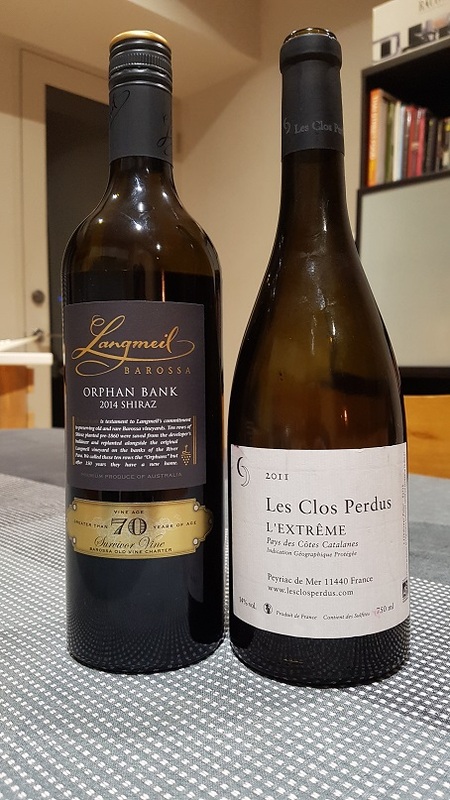 After I’d tried the amazingly perfumed and delicate ‘Prioundo’ unoaked Grenache Cinsault blend from this same producer, I thought it’d be good to look at the L’Extrême – the other end of the spectrum. This is a Lladoner Pelut – Syrah blend. Lladoner is a more hardy clone of Grenache more commonly planted in cold harsh weather conditions. Over the three days this wine displayed pretty florals, earthy herbs like thyme and rosemary, blackcurrant, mulberry, and blood orange, down to very dark chocolate, tar, leather, and oak spice. 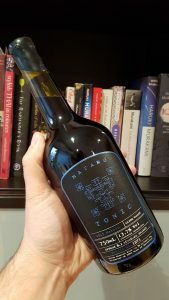 If I bought another bottle I’d buy two, only to look at one in 5 – 10 years to see if they’re ready. L’Extrême indeed. Wine tasting with Two Hands in the Barossa Valley as part of their Holy Grail Vineyard Experience..
Do you find yourself walking down the aisles at the liquor store reading about aromas of cut grass and leather, desperately trying to make some kind of informed decision? Wouldn’t it be better if you were able to decipher the jargon, to find the type of wine that’s right for you? As South Australia’s wine specialists, Small Batch Wine Tours engages and educates guests in a fun and dynamic way. Being passionate about wine, our guests want to experience more than can be offered by the usual bus type tour group. For this reason we specialise in privately curated tours, or very small tour groups for a truly intimate experience. Each tour is different, whether it be intricately curated before departure through consultation with the client, or tweaked on the fly as our guide really gets to know each guest. Small-group Barossa Valley wine tours, small-group McLaren Vale wine tours, and private Adelaide Hills wine tours available daily on request. 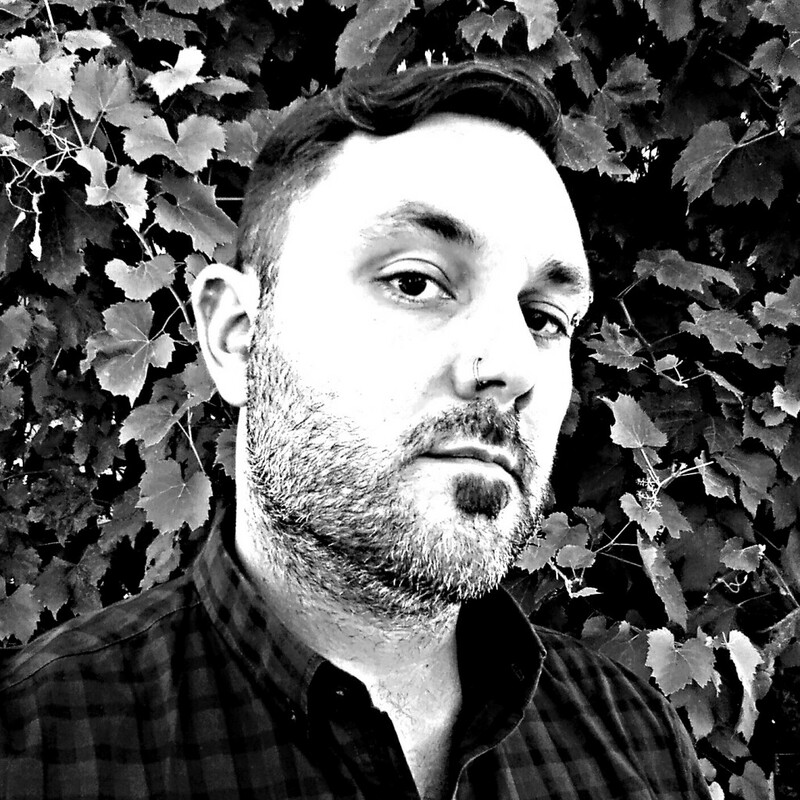 Matthew Kurko is a passionate wine guide to the Barossa Valley, McLaren Vale, and Adelaide Hills wine regions. He owns and operates boutique wine tour business Small Batch Wine Tours.